Dogs are certainly known to be the man’s best friend. In fact, some studies show that dogs form a strong emotional attachment to their owner in much the same way human babies do to their mothers. The relationship between a dog and man is said to be so unique that no other domesticated animal can enjoy such a relationship. Dogs are classified according to their breeds and also classified according to how intelligent they are. Some people have argued that the intelligence of the dog is much dependent on how well the dog was/is trained by the owner. Others believe that there are special genes that affect the intelligence of the dog. The list below shows the 9 popular intelligent small dogs in the world. 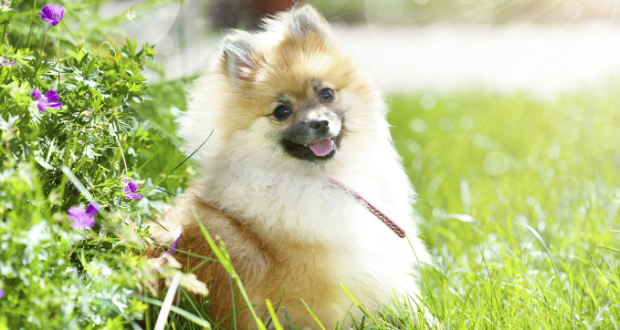 The Pomeranian is considered an intelligent breed with a bright disposition and lots of energy. If you’re seeking an easier breed to train, this dog will save you some headaches and frustrations. In fact, Pomeranians love learning new tricks and will be able to learn many commands. They also do quite well in competitions, so if you like to compete, this is the right breed for you. They’re also very lovable and friendly, so they make an attractive family pet and your children will them. If you don’t love lots of attention, this breed is not really for you. Also, they tend to bark when strangers arrive, so keep that in mind as well. They think they are quite ferocious and will certainly feel like they are protecting the family with their barking.